One of the big benefits of living in Milton Keynes is our fabulous shopping centres. 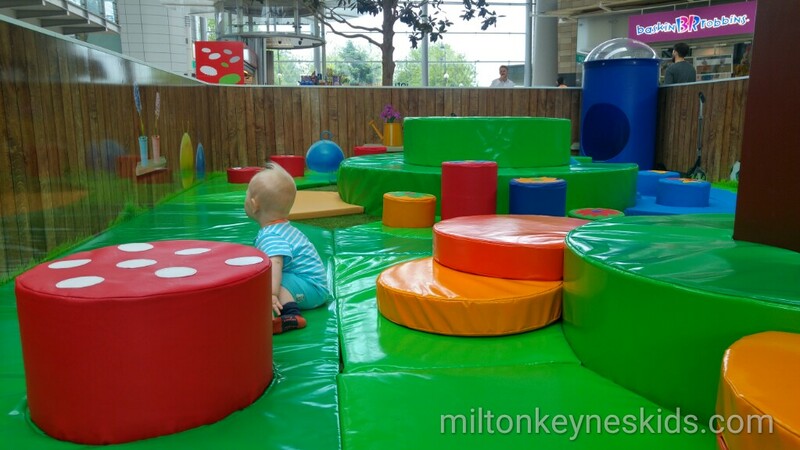 Before I had children, me and the hubs would be regular visitors to both the Centre MK and Intu MK and enjoyed a pootle around the shops, usually with a stop for a delicious lunch and maybe a nice cappuccino and cake a bit later on. Well It’s different now we have children. My eldest little boy has just turned three. More than anything he loves to run around, find sticks, jump in puddles, climb, pretend to drive… you get the idea. My baby boy is approaching one and desperate to do anything but be in the buggy. So spending a few ours shopping is probably not the top of their priorities. But needs must. And sometimes we need to pop in to town. They’re lovely little boys, but anything that can make the experience more enjoyable for them has got to be a good thing. 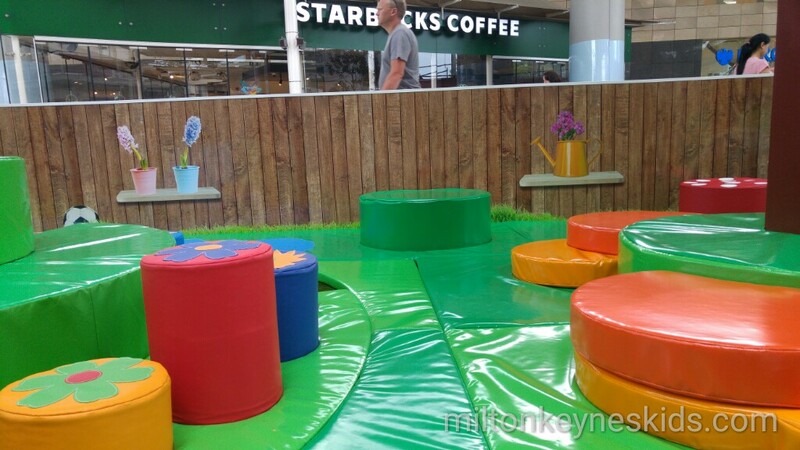 There is a now a FREE woodland soft play area in Intu MK – it’s in front of Starbucks and behind Pret a Manger. It’s suitable for under 5s and there for the summer. We’ve been twice. I took my baby boy on a weekday the first time, it was relatively quiet and he had more than enough space to bottom shuffle around it. The second I time I took both of them on a weekend. My toddler most enjoyed pretending the blue cylinder was a space rocket. It was a lot busier so I just kept with my baby boy the whole time. We spent about 20 minutes in there. Both little boys enjoyed it and it was a welcome break for them from wandering around the shopping centre. It’s not somewhere specifically to go to play, but could be an excellent place to meet up with friends for coffee whilst the little ones have a play. 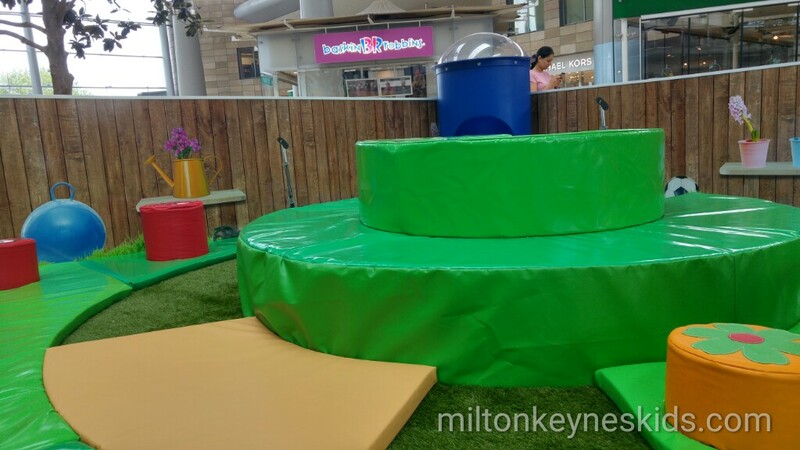 It’s there for the summer – please keep it Intu MK! And if anyone from Centre MK is reading this, it would be lovely to have something the other end of town too. The happier the children are, the more time we’ll probably spend there.